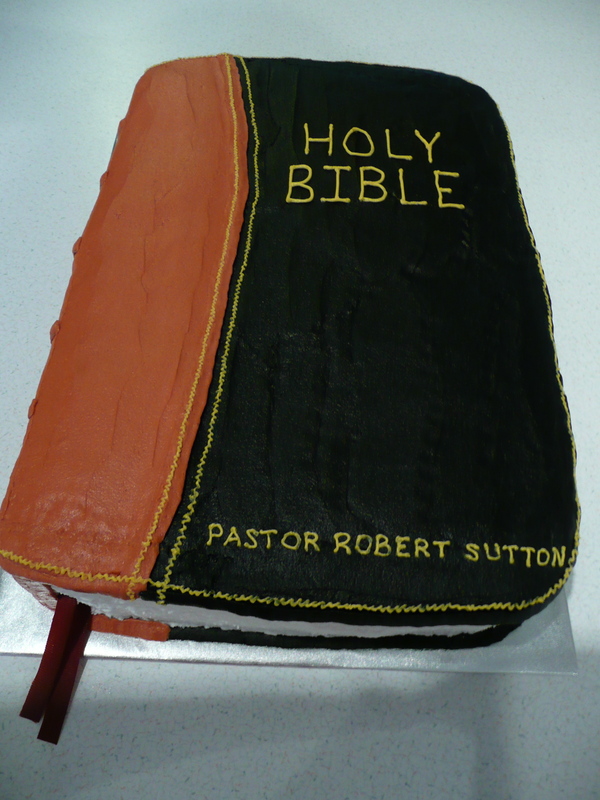 I made this cake for a pastor’s birthday. 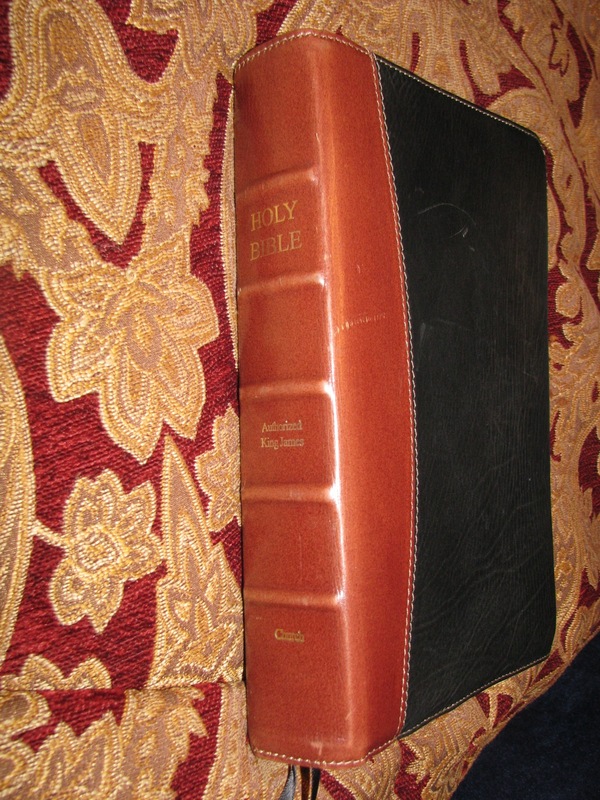 It is a copy of his personal Bible (see real Bible a few pics later). 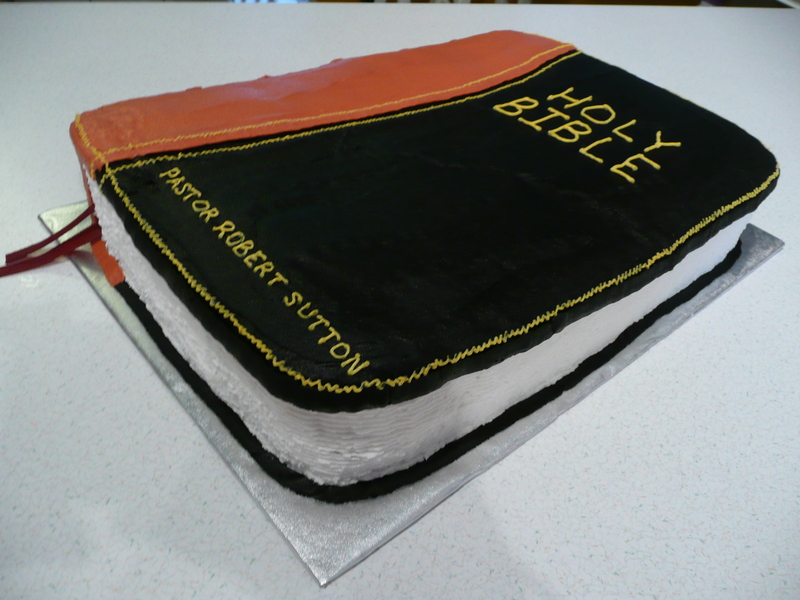 It is a 9×13 2 layer marble cake with buttercream icing and decorations. The “bookmark” is ribbon. 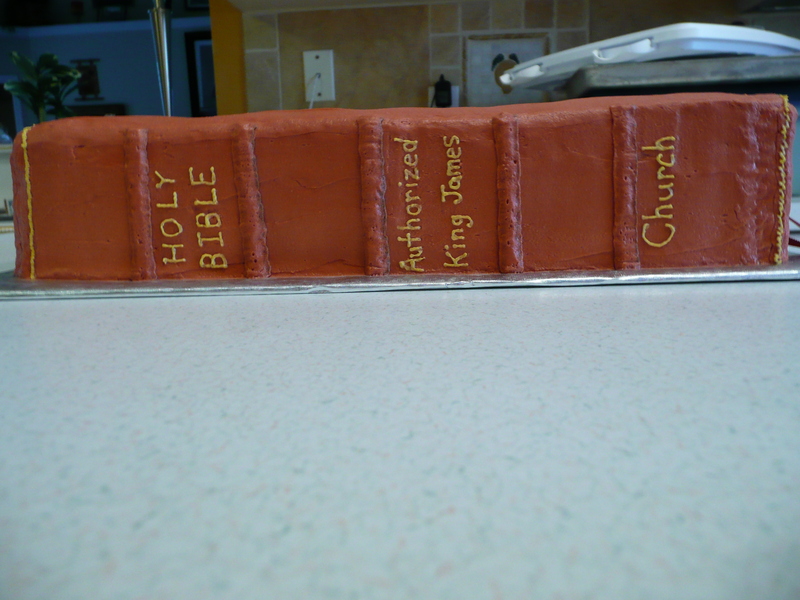 Here is the spine of the Bible. 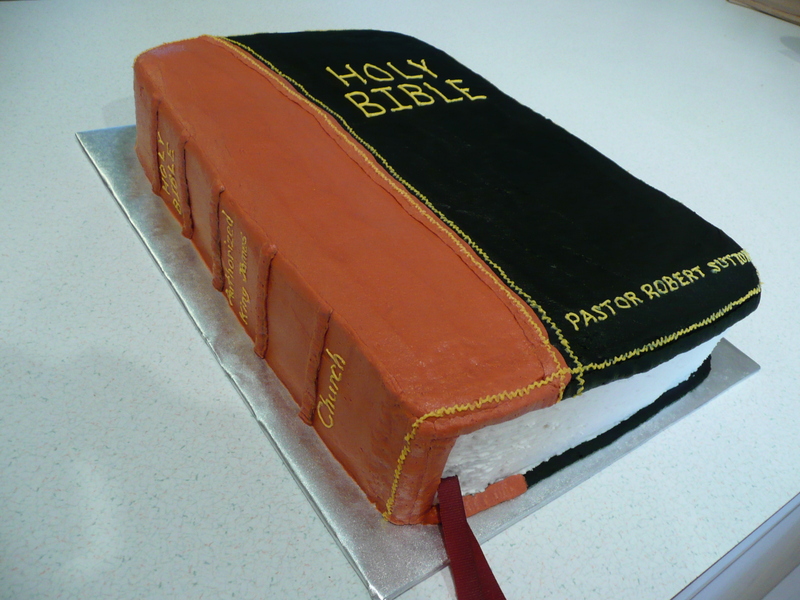 This is the actual Bible I copied. The client requested I add the writing on the cover.